Decompression therapy is a chiropractic treatment that specifically targets the underlying cause of back pain. Cedar Park chiropractor Dr. John Tuggle has helped hundreds of Cedar Park, Leander, Jonestown, Lago Vista, Round Rock, Liberty Hill, Georgetown, and Lakeway patients manage back and neck pain. Now, Dr. Tuggle is excited to be offering decompression therapy, a revolutionary treatment which has helped thousands of patients worldwide, to back pain sufferers at The Tri Doc Below are answers to commonly asked questions about this chiropractic treatment. 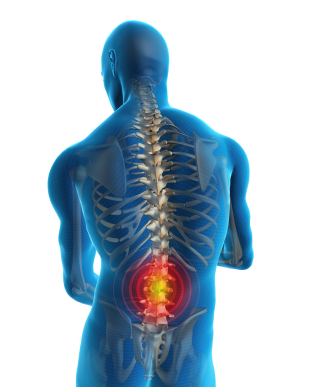 Decompression therapy is a non-surgical treatment for correcting herniated and bulging discs. Natural wear and tear or a traumatic accident, like a car crash or sports injury, can cause a disc in the spine to slip out of place. When this occurs, the disc may put pressure on the nearby nerves, causing back pain. If pressure is applied to the sciatic nerve, patients may suffer from shooting pain or numbness in the legs, buttocks and lower back - a condition known as sciatica. Decompression therapy creates a vacuum that returns the disc back to its original placement, relieving pressure on the nerves and reducing pain. Many patients have unsuccessfully tried other treatment methods, such as straight traction and inversion. Unfortunately, these methods also cause the back muscles to spasm, which prevents the disc from returning to its correct placement. Decompression Therapy: Is it dangerous? Decompression therapy is a revolutionary treatment that helps over 50,000 patients each year. It is a safe, non-invasive treatment for pain management. Chiropractor Dr. Tuggle is specially trained to use our decompression machine, known as the DTS System. The combination of focused traction with disc rehabilitation and stabilization prevents muscle spasms, safely returns discs to their original positions, and restores proper spinal alignment. Decompression Therapy: What is the Process? During decompression treatment, your chiropractor, Dr. Tuggle, will use the DTS to safely and gently restore alignment to your back and relieve back pain. You will lie comfortably on the DTS machine, which will slowly separate the vertebrae, reducing pressure on the spine and creating a vacuum, which helps to guide the disc back into its correct position. Creating a vacuum in the spine will also bring critical oxygen, nutrients, and fluid to the injured disc, which promotes healing. Decompression Therapy: How many Treatments Will I Need? Every patient is different, and Dr. Tuggle will create a treatment program that specifically addresses your individual needs. Many Cedar Park patients experience pain relief after just a few sessions. Over an eight to 12 week period, we typically treat patients 20 to 25 times. Remember, just because your back pain has subsided does not mean the underlying condition is corrected. A full series of treatments is necessary for optimal results and long-term health. Will other rehabilitation therapies be used in addition to decompression therapy? Dr. Tuggle typically combines decompression therapy with other complementary treatments, such as corrective exercises, to restore muscle strength, endurance, and a full range of motion and movement. If you also suffer from back pain or neck pain, Dr. Tuggle may use other chiropractic treatments or massage therapy to help relieve pain and promote internal healing. If you struggle with chronic back pain, neck pain, there are safe and natural alternatives to prescription painkillers. Remember, medication can only temporarily relieve pain - it cannot correct the underlying problem. Decompression therapy is a safe, non-surgical treatment. Make an appointment today by calling us at 512-257-2225.